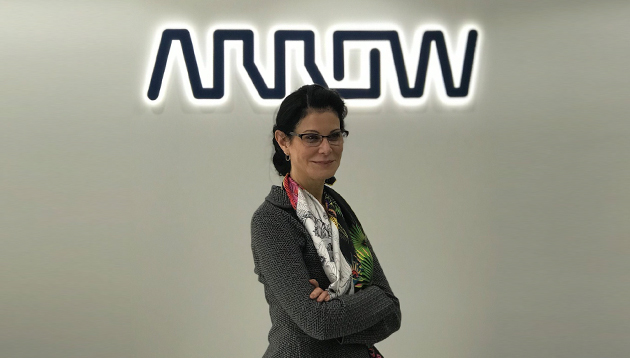 Gretchen K. Zech, senior vice-president and chief human resources officer, Arrow Electronics speaks to Anthony Wong on the impact of technology on human resources and her ideas on managing talent in the APAC market. Q How did you get started in HR? I got a chance to intern during the summer at a personnel department after my first year in university and absolutely loved it. I love everything about working in human resources, it doesn’t feel like work at all. I love studying it, observing it and having an opinion on it. I declared human resources as my major when I went back to school and have not looked back since then. Q What are the major HR challenges for Arrow in APAC this year? Asia is a dynamic market with lots of mobility and lots of opportunities, especially for the young workforce. In emerging markets such as India and China, recruitment is a major challenge. Arrow is a business-to-business organisation. We are less well-known among the public and we need to seek out ways to capture the attention of potential employees. We approach university students early, when they are in the second year of studies to tell them who we are and what we do. Through offering university students internships and trainee programmes, we are able to send our brand message to our potential employees. Q What should HR professionals do to future-proof their businesses? The biggest value that HR professionals bring to the business is to provide talent for the business’ future. HR professionals should be close to the market and have an in-depth understanding on where the revenue comes from. By understanding the business, HR practitioners are able to anticipate the capabilities that the talent needs to possess to drive the business forward. With that, they can come up with strategies to attract, engage and develop this talent. Q How do you see technology impacting the HR sector? I have been using online banking for many years and I asked why can’t HR operations also be managed online? Increasingly, people are living their lives online. I think it makes perfect sense to provide a work experience that matches what is happening in life. Our mission is to give people a sense of pride to use modern technology. With the use of technology, HR professionals should have all the information at their finger tips. By leveraging on technology, managers will feel more empowered and have more autonomy and independence. Q What is the best career advice you have received? Early on in my career, my mentors would spark curiosity in me and encourage me to think more about what I am doing. It is important to stay curious about your work. Once piece of advice which I often give is to put yourself in the position of your boss. It inspires one to approach things from a wider perspective and demonstrate to the boss, one is ready to get to the next level. Getting staff to embrace change isn't easy. But it's possible if you put the right mindset and culture in place and back it with a..
With less than a month to go for the reading of Budget 2019, both large companies and SMEs want government support for accessing n..
A culture of acceptance of mistakes should be embraced in the coming year. ..